Posted by Ali Kane on Friday, April 12th, 2019 at 2:35pm. Agora Kitchen is ranked the Number 1 restaurant in West Palm Beach according to TripAdvisior, the popular website that features that latest reviews on hotels and restaurants. Agora Kitchen opened in 2013 and is a Turkish restaurant brought to West Palm Beach by Semih Arif Ozdemir. The restaurant celebrates Ozdemir’s mother’s cooking and food that reminds him of home. The restaurant has a loyal following and the menu features warm hummus, grilled octopus, spinach and artichoke casserole and gyro. Agora Kitchen is located at 2505 N. Dixie Highway in West Palm Beach. Aroma Indian Cuisine is one of Palm Beach’s most beloved Indian restaurants. The restaurant opened in 2017 by Clarence “Rence” Xavier and offers various traditional Indian dishes from across India. The menu features popular items such as samosas and garlic naan, chicken tikka masala, and lamb vindaloo. Aroma Indian Cuisine is located at 731 Village Boulevard, Suite 110 in West Palm Beach. Casa Mia in Jupiter has redenied Italian cuisine by serving homemade and traditional meals. The restaurant was brought to Jupiter by Stefano Paggetti and the menu brings authenticity to Jupiter. 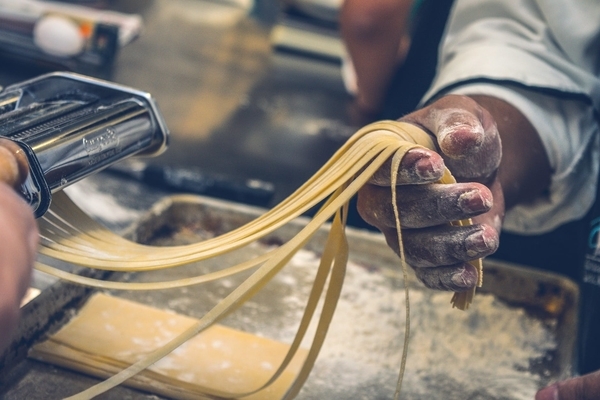 Much of the menu is made from scratch and features everything from wood-fired pizzas, pan-seared filet mignon, eggplant Parmigiana, breaded chicken breast, different types of pastas and much more. Casa Mia is located at 337 Indiantown Road, Suite 10 E in Jupiter.